Gentle, soothing aromatherapy massage with essential oils from the fruits and flowers range. Blended especially for you to relax or uplift; your mind will adapt to how you’re feeling and your body to what you’re needing. Hot Rocks bringing gentle warmth into your massage. Add a little Reiki and a mini Head Massage for more relaxation. Incense, low lights and soft music. Enjoy the equilibrium of your Mind, Body and Spirit. Pamper yourself or someone you love, just because you deserve it! 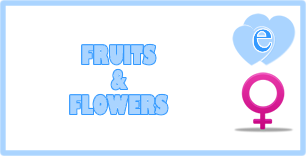 Gift vouchers available for fruits and flowers and all therapies. 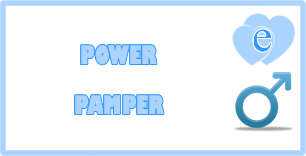 POWER PAMPER the ultimate pampering package for men. Why look lumpy and feel grumpy when you can look yummy and feel scrummy? In the 21st century men no longer have to be satisfied with a quick shower and a spray of deodorant. Relax your mind and caress your senses, look good and feel good all over; improve and maintain good health. This is modern grooming for modern men. Liberate yourself from your old routine; make a new man of yourself. Taking time out to come for a POWER PAMPER and letting go of your stress can help you to perform better afterwards, at work, home or leisure. This is a masculine makeover for modern men, the original Pamper Package at the ALPHA MALE STUDIO, available since 1997 and still as popular today as it was then. Man-Scape Shape-and-tidy… Quick clippered tidy-up of body hair if required. Man-Tastic full-body hot rocks masage… Or other massage of your choice from the range available in massage menu. Skip anything not needed. Fill up to two hours with an alternative choice… Man-icure, Foot-man or Man-date facial instead. Totally unhurried. Relaxation time till you leave. Your own package tailored to what’s best for you to help you feel good, look great and make you totally relaxed and refreshed.